A solar system is made up of multiple solar photovoltaic (PV) panels, a DC to AC power converter (inverter solution) and a framing system to hold the PV panels in place. PV panels are generally fitted on the roof facing an northerly, easterly or westerly direction, and tilted at a particular angle to maximise the amount of sunlight that each panel receives. Suburban homes in Australia and New Zealand are connected to the electricity grid via power lines. Our electricity system uses 240Volt alternating current (AC), but the electricity generated by solar panels consists of variable direct current (DC). To transform the DC electricity into AC electricity for ordinary household use, grid-connected solar PV systems use inverters attached to each PV panel called micro inverters or a single inverter for a string of connected PV panels called a central string inverter. The third possible inverter solutions are power optimisers, which are a variance of the string inverter and the micro inverter. All these technical solutions can create a great solar system. Ask your authorised LG dealer for advice on which of these inverter solutions is the most suitable for your circumstances. 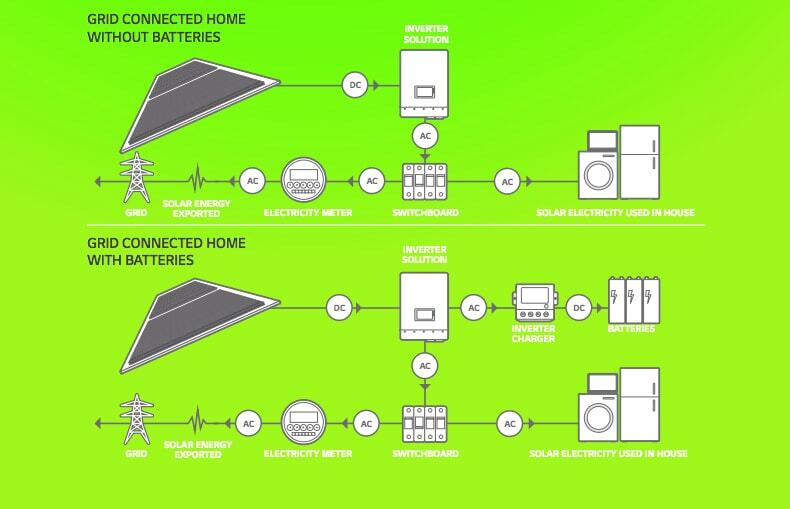 Today houses with grid-connected solar systems consume solar-generated electricity first, before switching to the electricity grid if more electricity is required than the solar system was able to create. Grid-connected solar systems can also feed electricity back to the grid if too much electricity is generated via the solar system for the immediate needs of your home. 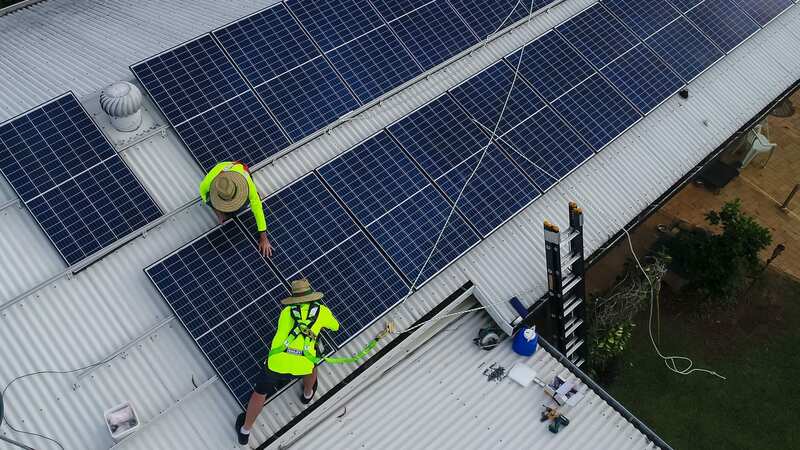 As a provider and installer of LG Energy solar systems (including LG Chem batteries), Solar Systems Cairns can offer an inspection and personalised quote to help you understand the options and costs available on a new solar system for your home or business. Contact Elliot at Solar Systems Cairns today on 0400 069 309 for a quote on a solar energy solution to suit your needs. © 2019 Solar Systems Cairns.